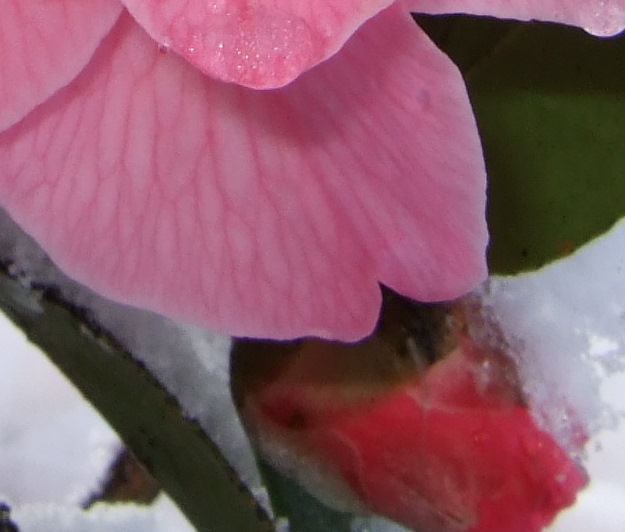 Young flowerbuds in the snow. Belgium, land of my birth, I send you my tears on your day of mourning. I’ve been away from my notebooks for too long, no writing done for days, a busy week at work. This weekend, instead of writing, I have had my head full of our summer holiday to Germany. I found out there are thousands of kilometres of cycle paths, and one can cycle along the length of most of the rivers. On the Rhine and Mosel, a cycle journey can be made in one direction, and then the return journey can be a river cruise. Of course, we will cycle down stream, so little effort will be needed! And we can tour the Schwarzwald, and the Romantic Road, and see Berlin. I hope I can still remember some of the German I learnt at school.